Sarah Palin is the reason compasses point North. (BBC)—There has been a significant increase in the number of racial incidents in Wales since the 7 July bombings in London, new police figures have shown. The largest rise came in the North Wales Police area, where there were 64 reported cases from 7-28 July compared to 20 in the same period in 2004. Gwent Police has dealt with 49 cases, up from 30 in 2004, and Dyfed-Powys has had 17 incidents (up from 12). South Wales Police also said there had been an increase in cases in its area. Members of the Muslim community in Wales have expressed worries that the attacks in London would see them targeted. Last week, a rise in incidents of abuse was also recorded by the South East Wales Race Equality Council (Sewrec). It said the rate of abuse had risen from 10 incidents a month to more than 30 in just two weeks, with most happening in Newport. Last week in Cardiff, police investigated after animal parts were left at a mosque which was also targeted with a racist letter. Chief Constable of Gwent, Mike Tonge said there had been a rise in tensions. He added: “It’s not really attacks, it’s verbal abuse. But for the Muslim community particularly, this causes them to have fear. If you ever visit the Skipper…..
A Kansas woman has filed a lawsuit seeking damages for severe burns on her rear end caused by chemicals used to clean a toilet at a Denny’s Restaurant. Kathleen Williams’ suit names Denny’s Corp. and Jomar Investments LLC, owner of the St. Louis-area Denny’s where she was injured. Williams claims she did not see the chemicals but felt them as soon as she sat down. Pedro Irigonegaray, her lawyer, said that she had to be hospitalized immediately and suffered permanent injuries. “Sadly, as a result of the chemical injury, nerves were injured that create a sensation of pain 24 hours a day,” Irigonegaray told the St. Louis Post-Dispatch. He said Williams has to take medication for pain and wear special underpants designed for burn victims. SAN FRANCISCO (AP) - A man who compared a woman’s anatomy to a carburetor won an annual contest that celebrates the worst writing in the English language. Dan McKay, a computer analyst at Microsoft Great Plains in Fargo, N.D., bested thousands of entrants from the North Pole to Manchester, England to triumph Wednesday in San Jose State University’s annual Fiction Contest. “We want writers with a little talent, but no taste,” San Jose State English Professor Scott Rice said. “And Dan’s entry was just ludicrous.” McKay was is in China and could not be reached to comment about his status as a world-renowned wretched writer. He will receive $250. Rice said the challenge began as a worst paragraph contest, but judges soon realized no one should have to wade through so much putrid prose - such as this zinger, which took a dishonorable mention. “The rising sun crawled over the ridge and slithered across the hot barren terrain into every nook and cranny like grease on a Denny’s grill in the morning rush, but only until eleven o’clock when they switch to the lunch menu,” wrote Lester Guyse, a retired fraud investigator in Portland, Ore. “That was the least favorite of the five I entered, but you win any way you can,” Guyse said. 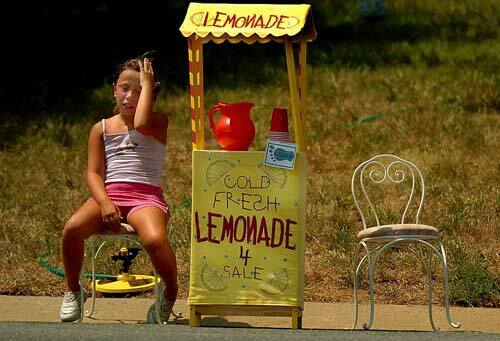 Hannah Jones, 8, wipes her brow while selling lemonade outside her Huntersville, N.C., home, as the temperature approaches 100 degrees on July 27. Jones is raising money for the the annual Carolinas Walk for Autism Research. Mike Blackburn, left, and his son, Jim, enjoy their homemade pool in the back of a pick-up parked at Mike’s home in Winchester, Va., on July 27. The Jim Blackburn said he rarely gets to experience such a hot summer day at home. 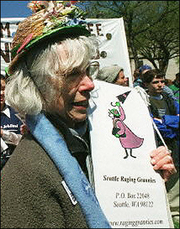 LOS ANGELES (AFP) - Five greying anti-war activists from a group dubbed the “Raging Grannies” face possible jail time after demanding to be enlisted in the US Army to fight in Iraq, one of them said. The women, aged between 57 and 92, were charged with criminal trespass after turning up at an Armed Forces Recruiting Center in the western US state of Arizona demanding they be allowed to join the fighting ranks. “We’re very serious about that, we really want to enlist,” 74-year-old “Raging Granny” Betty Schroeder told AFP. “We think it would be better if old people were killed at war than young ones,” the retired nurse, whose husband and two brothers were killed in battle in other wars, explained. Eight “grannies,” including Schroeder, are accused of invading military territory by entering a military recruiting office in the city of Tucson on July 13 to sign up. Military officials asked them to leave and called police who issued charges against five of the grannies after they had left the office. They are charged with trespassing, which could see them jailed for up to five months. The five appeared in court in Tucson on Monday where they pleaded not guilty to the offence and the judge scheduled a preliminary hearing for August 19, according to Schroeder. “Criminal trespass is a misdemeanour,” she said. “I think we might be sentenced to five months in prison or a 500 dollar fine,” she told AFP by telephone from Tucson. The “Ranging Grannies,” formed by members of the Tucson branch of the Womens International League for Peace and Freedom, meet every Wednesday and sing songs set to familiar tunes that protest the US military presence in Iraq and Afghanistan. The maximum age for enlistment in the US Army is 34, while reservists can join up until the age of 39. Why do I keep hearing that old Jan & Dean/Beach Boys tune “Little Old Lady From Pasadena” in my head ....? These broads evidently missed their daily dose of metamucil several times. 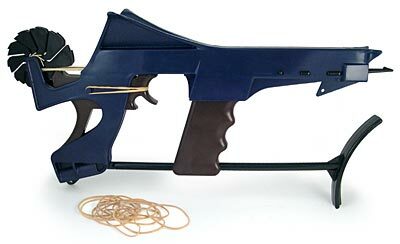 The old farts hanging around here at BMEWS (including myself) could really raise hell in Iraq but these old gals need to stick to their knitting. WeHelpMeds was created to assist you in finding Medication Assistance programs. We have gathered information about hundreds of programs that can help you obtain your medication free or at greatly discounted prices. These programs change on a regular basis; We are constantly searching for new programs and monitoring existing ones. Qualifications vary, but most are based on income and lack of outpatient prescription coverage. WeHelpMeds can provide the assistance you need in 5 easy steps. Many pharmaceutical companies in response to the growing cost of medicine now sponsor patient assistance programs. These programs are helping patients who qualify receive medication free of charge or at a discount. These programs are not related to the medicare discount program. Qualifications vary from company to company, but most are based on income and lack of outpatient prescription coverage. Texas couple outside city has land grabbed by city for “possible” future use. I just took the test to determine if I’m a hippie! I am saddened to report that I flunked the test. It seems I am a die-hard member of the Vast Right Wing Conspiracy. I took the idiot test too. I flunked it as well. Well .... what the f**k did you expect of me ....? What? Am I a Republican? Why did I even bother taken this test?! I guess I’ll back to my George W. Bush fan club and tell them I just wasted 10 minutes of my life. At least I don’t stink, man. I am not annoying at all. In fact most people come to me for advice. Of course they annoy the hell out of me. But what can I do? I am smarter than most people. LONDON (Reuters) - A British couple who headed out to sea in a dinghy for an amorous liaison sparked a major rescue operation when their cries of passion were mistaken for someone in trouble, British police said Tuesday. A passer-by raised the alarm after hearing strange noises coming from the waters near a beach in Torbay on the southwest coast of England Saturday morning, prompting the coastguard to send lifeboats and police to the scene. “It was found that there was a partially-clothed couple in a small rubber dingy that were brought ashore and asked to put their clothes back on,” a spokesman for Devon and Cornwall police told Reuters. BAGHDAD (AFP) - Omar Hernandez, his combat boots covered in a fine coat of sand from the battle front, had difficulty believing that he took his oath of US citizenship inside one of Saddam Hussein’s former palaces. “It’s like a dream,” said Hernandez, a native of Jalisco, Mexico. Then he gazed around the marble columns in the rotunda hall. “A lot of money was spent on this,” he marveled. On a recent weekday Hernandez and 146 other US military personnel raised their right hand and swore to “support and defend the constitution and laws of the United States of America” in the Al-Faw palace on the outskirts of Baghdad. The marble-floor rotunda is some 50 meters (yards) in diameter, under a vast crystal chandelier the size of a Volkswagen Beetle that hangs from the dome roof. “Welcome into that exclusive club called American citizenship,” Lieutenant General John Vines told the group at the citizenship ceremony. Three officials from the naturalization branch of the US Department of Homeland Security were also present, along with a 30-man army brass band, complete with trombones, tubas and a large drum. When Soto is out on an urban patrol many Iraqis “are often surprised when I lower my scarf and they see my face,” he said, commenting on his olive skin. Military officials require recruits to be permanent US residents to join the military, but citizenship is not a requirement. There are 45,000 non-US citizens currently serving in the US military, said Linda Dougherty, one of the US government officials at the event. Those sworn in as US citizens came from 46 countries, with the single largest group born in Mexico (27), followed by the Philippines (15) and Jamaica (nine). Overall 70 of the new US citizens came from Latin American countries, including Nicaragua (eight), Dominican Republic (five), Colombia and Honduras (four each), and even Peru and Cuba. The figures reflect US population trends, where the Hispanic population has reached 41 million people, the largest racial minority among the country’s 296 million residents. Soldiers at the event also came from China, India, Taiwan and Vietnam. There was even one Iraqi-born soldier. Is anyone paying attention to this woman and her conniving strategy (pictured at left in a secret dress rehearsal for being declared Queen Hillary I, her ultimate goal)? Lately, she has come out in favor of “family values” and has even been smooching up to religious groups on the Right. That was Phase I of The Hildabeast Conspiracy. She has suddenly starting sounding like a Conservative, especially when you compare her to the rabid, Leftist anarchists in the Democratic party. In other words, she is doing the same thing her husband did: pretend to be a moderate and after the election, take a sudden turn to the Left. I’ve seen this crap before from ol’ Slick Willy, hisself. (WASHINGTON POST)—Sen. Hillary Rodham Clinton’s call for an ideological cease-fire in the Democratic Party drew an angry reaction yesterday from liberal bloggers and others on the left, who accused her of siding with the centrist Democratic Leadership Council (DLC) in a long-running dispute over the future of the party. Long a revered figure by many in the party’s liberal wing, Clinton (D-N.Y.) unexpectedly found herself under attack after calling Monday for a cease-fire among the party’s quarreling factions and for agreeing to assume the leadership of a DLC-sponsored initiative aimed at developing a more positive policy agenda for the party. The reaction highlighted the dilemma Democratic politicians face trying to satisfy energized activists on the left—many of whom are hungering for party leaders to advance a more full-throated agenda and more aggressively confront President Bush—while also cultivating the moderate Democrats and independents whose support is crucial to winning elections. The challenge has become more acute because of the power and importance grass-roots activists, symbolized by groups such as MoveOn.org and liberal bloggers, have assumed since the 2004 election. The most pointed critique of Clinton came in one of the most influential blogs on the left, Daily Kos out of Berkeley, Calif., which called Clinton’s speech “truly disappointing” and said she should not provide cover for an organization that often has instigated conflict within the party. Roger Hickey, co-director of the liberal Campaign for America’s Future, said Clinton had badly miscalculated the current politics inside the Democratic Party and argued that she could pay a price for her DLC association if she runs for president in 2008. “There has been an activist resurgence in the Democratic Party in recent years, and Hillary risks ensuring that there’s a candidate to her left appealing to those activists who don’t much like the DLC,” he said. meaningless marching orders for a thousand travellers ... strife ahead ..
Find here top quality how to prepare yerba mate without a gourd that&apos;s available in addition at the best price. Get it now! THE SERVICES AND MATERIALS ON THIS WEBSITE ARE PROVIDED "AS IS" AND THE HOSTS OF THIS SITE EXPRESSLY DISCLAIMS ANY AND ALL WARRANTIES, EXPRESS OR IMPLIED, TO THE EXTENT PERMITTED BY LAW INCLUDING BUT NOT LIMITED TO WARRANTIES OF SATISFACTORY QUALITY, MERCHANTABILITY OR FITNESS FOR A PARTICULAR PURPOSE, WITH RESPECT TO THE SERVICE OR ANY MATERIALS. It's been a long strange trip without you Skipper, but thanks for pointing us in the right direction and giving us a swift kick in the behind to get us going. Keep lookin' down on us, will ya? Thanks. THE INFORMATION AND OTHER CONTENTS OF THIS WEBSITE ARE DESIGNED TO COMPLY WITH THE LAWS OF THE UNITED STATES OF AMERICA. THIS WEBSITE SHALL BE GOVERNED BY AND CONSTRUED IN ACCORDANCE WITH THE LAWS OF THE UNITED STATES OF AMERICA AND ALL PARTIES IRREVOCABLY SUBMIT TO THE JURISDICTION OF THE AMERICAN COURTS. IF ANYTHING ON THIS WEBSITE IS CONSTRUED AS BEING CONTRARY TO THE LAWS APPLICABLE IN ANY OTHER COUNTRY, THEN THIS WEBSITE IS NOT INTENDED TO BE ACCESSED BY PERSONS FROM THAT COUNTRY AND ANY PERSONS WHO ARE SUBJECT TO SUCH LAWS SHALL NOT BE ENTITLED TO USE OUR SERVICES UNLESS THEY CAN SATISFY US THAT SUCH USE WOULD BE LAWFUL. Oh, and here's some kind of visitor flag counter thingy. Hey, all the cool blogs have one, so I should too. The Visitors Online thingy up at the top doesn't count anything, but it looks neat. It had better, since I paid actual money for it. And now for something completely different..
What, this isn’t called the Ticonderoga? Buy BMEWS High Quality Stuff! You may freely use anything for non-commercial purposes as long as you attribute the source. All non-original content must be attributed to the original source. Play fair. This site may contain copyrighted material the use of which has not always been specifically authorized by the copyright owner or may be authorized or licensed for publication at this site only. Permission to copy, republish or reproduce such material must be obtained from the original copyright owner. We are making such material available in our efforts to advance understanding of political, human rights, economic, democracy, and social justice issues, etc. In accordance with Title 17 U.S.C. Section 107, the material on this site is distributed without profit to those who have expressed a prior interest in receiving the included information for research, educational, or satirical purposes.